Many years ago, a friend gave me a little book of quotations from Thoreau. She signed it: “Since Walden seems to be your Bible, I thought you would enjoy, Love, BH”. My friend was very Catholic, and if I had been, things probably would have worked out. I wouldn’t say it was my Bible, I think that would risk hell and damnation. It was my conservative evangelical upbringing – just that Thoreau and to some extent Emerson, always resonated with me. she and I went different directions, but remain friends to this day. I am happy with my path and I know she is happy with hers. My debt to Beverly is that she pushed me along mine. Thoreau has always given me a path to walk, (not run). I have been to Walden. Living among the beautiful lakes of Southeastern Wisconsin, the pond was unimpressive in comparison, but you could feel the solitude, which I have always craved. Every once in a while, I run across something I have never seen before from my friend Thoreau, and one came to me this morning from the blue of the internet. I am an advocate of teaching kids to write, in cursive. To be able to develop and have a signature. To be able to write a note and stick in their wallet or purse. Writing your name gives you an identity, something only you can do the way you do it. 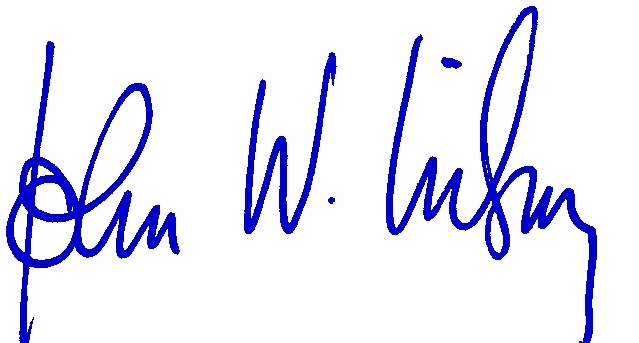 My signature was something I consciously developed when I was at OSU (Oshkosh State University). If you wanted cash, you had to write a check at the bookstore for cash. As I recall, the limit was $5 or $10, so I had to write lots of checks. (Beer was a quarter) I worked on my signature. I had lived with my brother Jerry and his wife for awhile, and I admit, I copied his signature. It kills me that we “don’t have time to teach cursive” – so I was struck by this quote from my friend Thoreau: “Writing your name can lead to writing sentences, and next you’ll be writing paragraphs and then books. And then you’ll be in as much trouble as I am.” I am proud to say my writing has gotten me into trouble at times. At OSU, letters to the editor of the Advance Titan about the war in Viet Nam, about campus “rules” and later at UW-Whitewater, when I led the losing side when the powers that be wanted to arm the security guards on campus. (they shot a kid a short time later for stealing a boom box from a dorm room). Later as a minor public official, when I proposed changes to any thing for which the reason was “because we’ve always done it that way” I’ve always been a troublemaker and a pot stirrer when something doesn’t make sense. Life is quieter now. I have my Walden. It is Passing Wind farm, where we raise no animals save for one 14 year old Springer Spaniel. For crops, we raise only hay and perennial flowers because I don’t want to mow it all. We host a large quantity of bees for a friend, but that is the extent of our farming. It all started with writing my name . …and an impressive signature it is. Thanks for the Thoreau quote on writing one’s name, and what trouble it can lead to! nice that we can work together-finally ! A wonderful, thought provoking entry. Your signature is YOU. Only YOU. Someone, someday may cherish it. Hummmm. Very interesting. Love your posts. I love to see my mothers beautiful signature,though she mostly printed. Mine was my dad’s. Exact, everytime, in every way. I have a few samples of his handwriting, and it was impeccable. Said it was because he had a teacher who taught the Palmer Method.